C.A. McClaran came to the town of Wallowa, in Oregon’s far Northeastern corner, in 1904. He operated the Eastern Oregon mercantile there, kept a few horses and cows, and eventually bought some sheep, which he and his son Joe turned into a profitable business. When Joe came back from World War I, he returned to running sheep with his dad on 160 acres of native grass, along with 75 head of cattle they acquired from a neighbor. Through the decades the family and their holdings grew, and following the Great Depression, McClaran Ranch switched from sheep to cows. Joe’s great grandson, Scott, and his wife, Vicki, took over the operation of the ranch, which now boasts 1000 head of mother cows, in 1980. 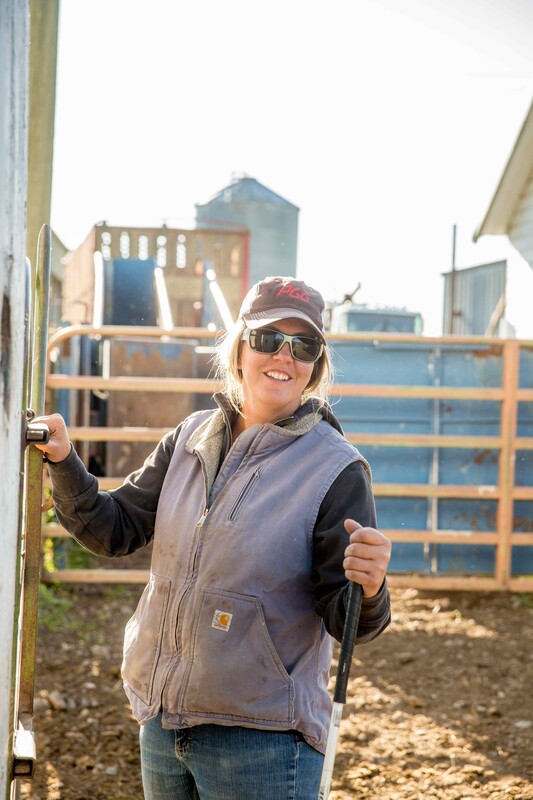 Today, Scott and Vicki’s daughters—the fourth generation—Jill, Beth, and Maggie, raise horses and stock dogs, and run the family’s cattle in some of the roughest and remote country in North America. The cattle raised by the McClaran family graze native grasses and forage year round. Over four generations, the McClarans have selected for genetics in their herd that allow the cattle to thrive in a challenging environment. In 2015, the McClarans were recipients of the prestigious Grassman of the Year award, which recognized the family for their knowledge and judicious use of grassland resources.